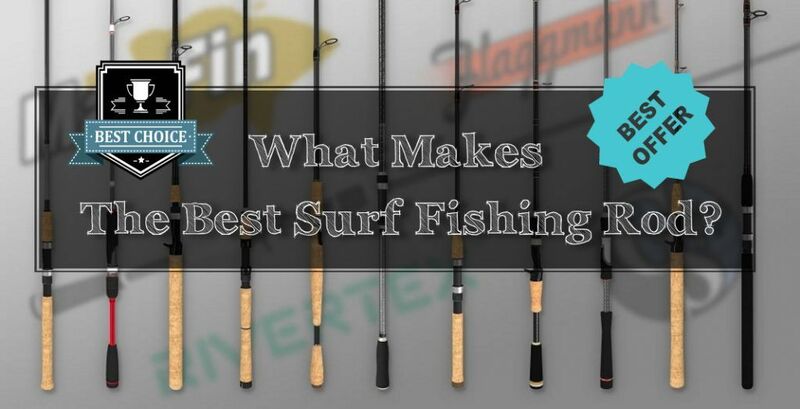 →What Makes The Best Surf Fishing Rod? 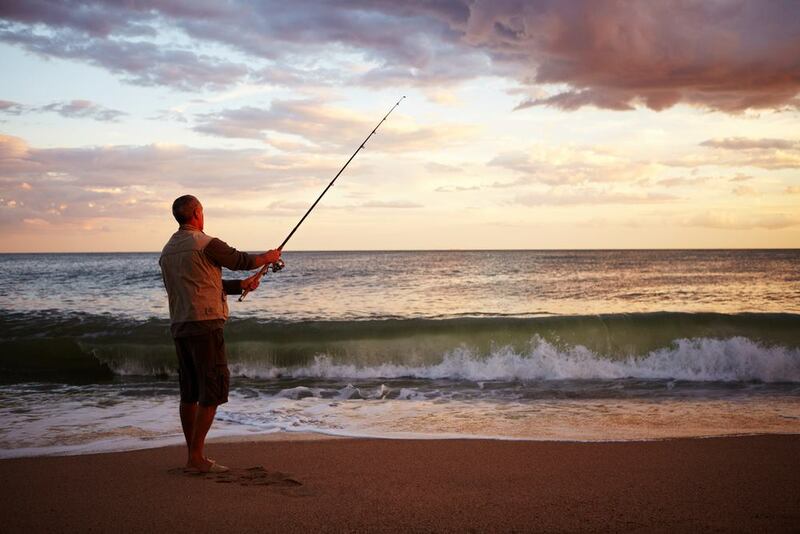 Contrary to the common misconception, you do not need a 12-inch rod for surf fishing. 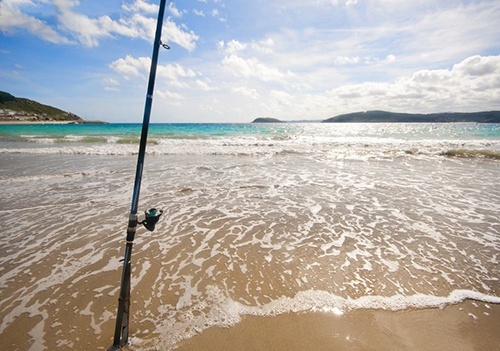 An important consideration to make when choosing a surf fishing rod is the power of the pole. Consider using surf fishing rods with at least medium power backbones. In addition, choose surf fishing rods with quick action. The bend at the tip of a surf fishing rod can help you cast further and increase your chances of landing your line and lure exactly where you need them to be. However, anglers who use live baits often work with stiffer surf fishing rods. There is a wide variety of surf fishing rods on the market, each with its own advantages and disadvantages. I have taken the liberty to take a closer look at five of the best surf fishing rods currently on the market. If you would like to get into surf fishing, read on. Before you buy a surf fishing rod, it is important to reflect on how things used to be. For instance, it was quite easier to choose a surf fishing rod back in the days than it is now. The common rule of thumb back in the days was to choose a long, fiberglass rod, and ensure it has the power to cast long from the beach into the deep waters. Shelves of angling shops were packed with the same surf fishing rods and many anglers really did not have a choice. Times have really changed. This is one of the reasons why I simply say, “I don’t know” when I am asked what is the best surf fishing rod on the market. You can imagine the level of surprise that follows when my inquirer hears the answer because I look like I know what I am talking about and yet do not have an answer to such as question. Interestingly, this is usually followed by a long narrative where the inquirer provides information about where they fish, their preferred reel type, their fishing style, and target species among a host of great bits of information. I have to admit, saying “I don’t know” sounds a bit cheeky and a more appropriate response would probably be “it depends”. The reason why I think this response is appropriate in certain cases is the wide range of great surf fishing rods available on the market. Technology has become a common feature of many fishing rods. No need to belabor the point. Therefore, there are rods designed not just for surf fishing but also to suit different fishing styles, fish targets, fishing conditions, lure, and line type. Rod manufacturers are now more aware of users’ preferences and are manufacturing surf fishing rods that suit their needs. This means that if you hit the beach to target 200-pound sharks, you may want to use a game rod and reel. All you need to do is to take the baits out to the back of the breakers using a jet ski, mount a chair on the back of your pickup, and simply wait for the shark to bite the bait. On the other hand, if the target fish is a small species found mostly in the wash just a few feet from where you stand, consider using lightweight six to seven-inch surf fishing rods with a 2500 spin reel. No need using a 12-foot rod when you are launching just 3 feet away. This is the advantage of using modern reels; the same rod can be used by sports anglers to target heavy bass. The current trend is that modern anglers want to make a big catch using something small. Technology has been the catalyst behind this growing trend. Today, many surf fishing rods are made of graphite, which is super strong and durable. 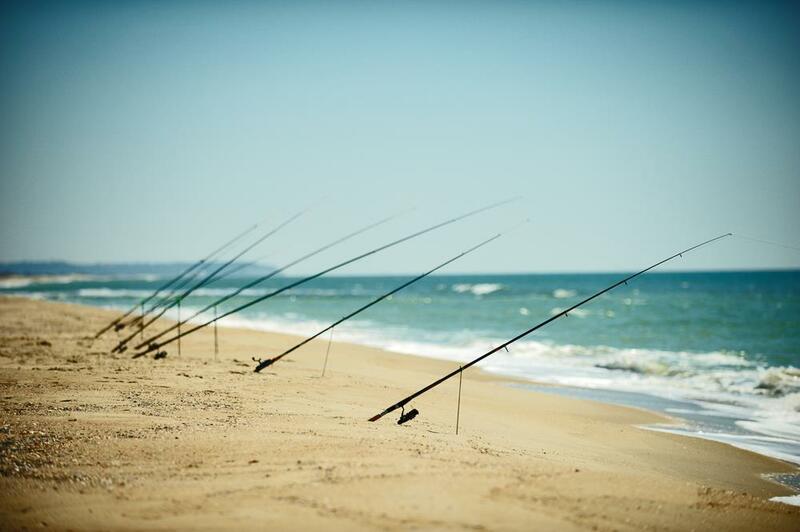 There are many factors to consider when choosing surf fishing rods including personal preferences and fishing conditions. There is no one-size-fits-all surf rod. It is advisable to choose surf rods that provide significant versatility so that you can cover a broad range of techniques and targets. The surf rod will allow you to comfortably catch a small fish as well as a big catch. When it comes to choosing surf rods, versatility is key. Personally, I have many years of experience in surf fishing and often use a 6-foot rod rated t 6lbs. This rod allows me to target up to 15-pound fish. However, I realize that hooking big fish on such a short rod could involve a lengthy fight. Nevertheless, I love using the rod because of its lightweight. When the surf is up, I often use my 12-foot rod because it allows me to cast a reasonable distance, target bigger fish, and cast further. With this fishing rod, I can cast a reasonable distance beyond the breakers and cast both small and large baits. Go for 9 to 13-inch rods if you want to cover length. I would recommend graphite or composite rods. For beginners, I would recommend spinning rods; casting or overhead rods are more suitable for experienced anglers. Avoid buying cheap rods because they might not be efficient. On the same breath, a high priced rod does not guarantee that you will catch more fish than a mid-priced rod. 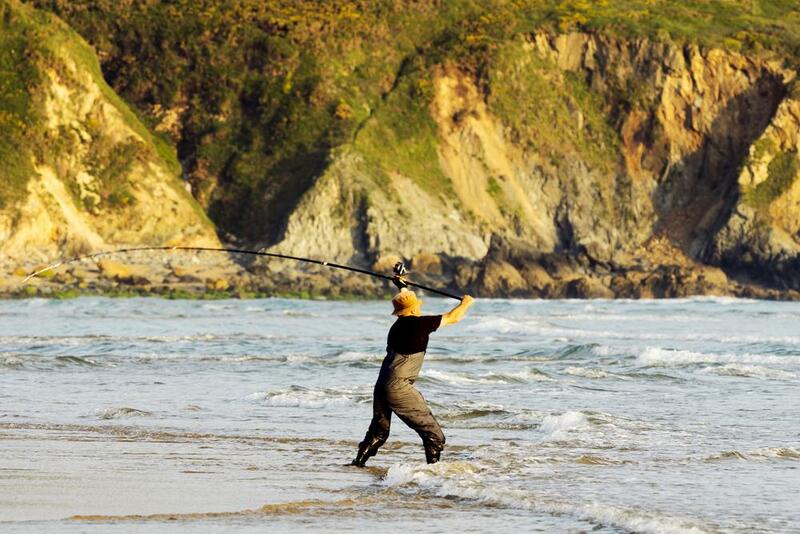 Surf rods are designed for use from the beach or rocky shoreline. Their role is to get the baited hook as far out into the sea as possible and pull the fish back in through the waves. Therefore, surf rods should be designed for distance and power. One of the most notable features of a surf rod is its length. Surf fishing rods are definitely longer than other types of rods. There is a reason behind the length of surf fishing rods; the longer the rod, the easier it is for an angler to cast far out into the sea and hold the line out of the water. 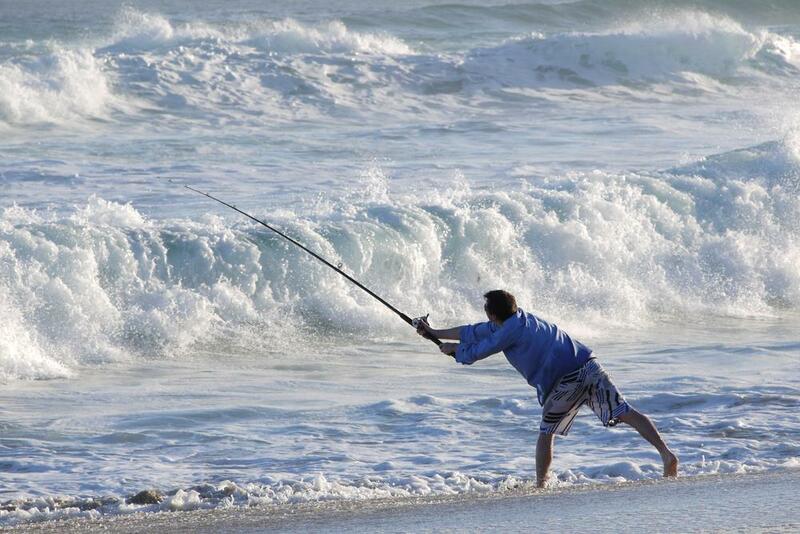 Surf rods have incredible power because of the speed of the rod tip when moving during a cast. The longer the rod the greater the tip speed and the longer the cast. Another reason why you should use a long rod when surf fishing is to keep as much line out of the surf as possible. You will probably want your bait to sit in a position for a reasonable amount of time to increase your chances of hooking a fish. The length of your rod and casting ability will enable you to land your bait beyond the breakers. This should help maintain the position of your bait. A longer rod allows you to keep your bait in position even longer. 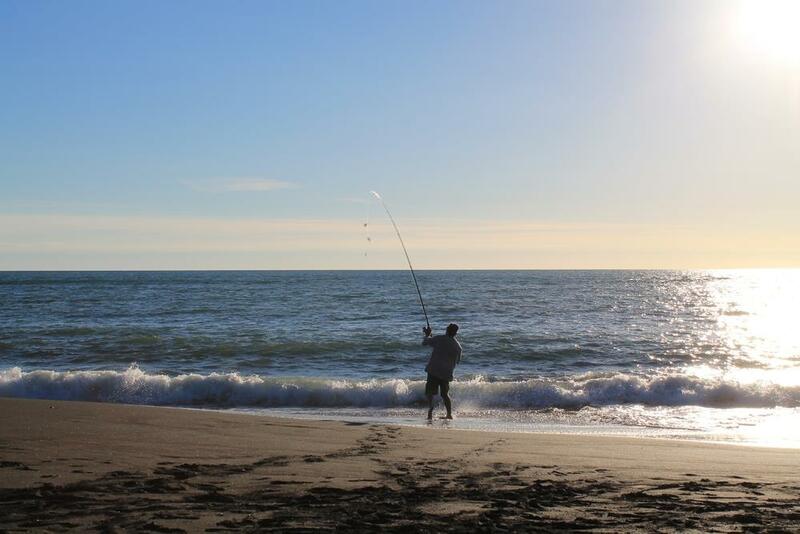 Before you go out searching for a surf rod, establish a budget that you are happy to spend. You are likely to spend more money than you intended if you do not have a budget in mind. Once you fix a budget, you need to consider the size of your bait and target fish. The size and weight of your bait can greatly determine rod selection. Decide whether to use dead or live lures. In addition, consider the size and strength of your target fish. Although there are many variables that come into play when choosing surf fishing rods, its bait and target fish species that have the biggest impact on the type of surf rod you choose. The type of rod you use with bait might be slightly different from the one you use with a lure. In addition, large fish species may require stronger surf rods than small inshore species. You may have read many reviews about the pros and cons of spinning and casting rods. However, not all anglers understand what that really means. Casting rods are designed for use with casting reels with the spool perpendicular to the rod. Casting the rod will cause the spool to turn, which will release the line straight down the twist without causing twists. Casting rods usually have smaller rings and are considered more powerful than spinning rods. In addition, casting rods are designed for heavier bait. On the other hand, Spinning﻿﻿﻿ ﻿rods ﻿﻿or ﻿﻿fixed spool reels are designed for lighter ﻿﻿bait. To cast the reel, you must remove the bail arm to allow the line to spin off the spool. Unlike the casting rod, the spool of a spinning reel sits parallel to the rod. Spinning reels have more lateral movements and drag. In addition, their lines usually twist off the spool reducing casting distance. Spinning reels require bigger rings, especially those nearest to the reel seat. Some anglers avoid using spinning reel setups because of their reduced casting distance. However, many anglers prefer using spinning reels because they are easier to use. There are many advantages and ﻿﻿﻿﻿disadvantages ﻿﻿﻿﻿of ﻿﻿spinning﻿ ﻿﻿and casting reels. Nevertheless, it is possible to use one rod for both casting and spinning especially if you choose one with large rings and lots of casting power. This is one of the most trusted surf fishing rods on the market. Penn has gained a reputation for developing durable and strong fishing rods. This fishing rod is available in a wide range of lengths including 8 foot and 11-foot rods. My wife bought me this rod because she knows how I love to surf fish. One of the things I like about this rod is its graphite composite blank. This is a technical term meaning that the rod is made of both graphite and glass. The Penn Prevail rod is made of about 70 percent graphite and 30 percent glass. The glass gives the rod power while the graphite makes it super lightweight. It was not long before I realized I could not really go wrong with this surf fishing rod. The rod is fitted with aluminum oxide guide inserts, which means that you can use it with both braided and monofilament fishing lines. In addition, the rod comes with a rubber shrink tube handle for enhanced grip even on a wet day. This fishing rod comes with excellent features, provides an awesome feeling, and is sensitive and powerful. Graphite composite blank makes it extra strong and lightweight. Aluminum oxide guides for use with both monofilament and braided lines. Cork taped handles to enhance grip. Relatively costly than other fishing rods. 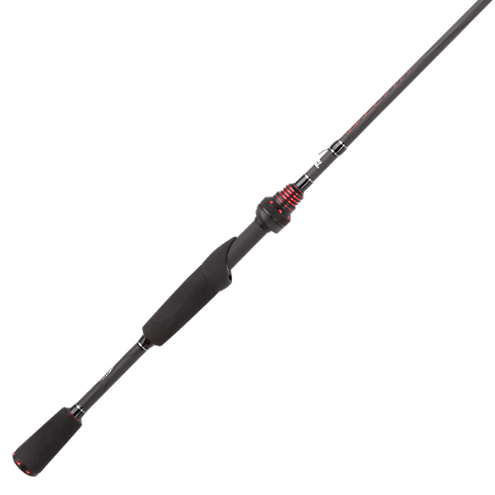 Featuring SCII graphite, the Okuma Longitude Surf Fishing Rod is durable and lightweight. One of the most notable advantages of this rod is that it s a travel rod. As the name suggests, the rod is very easy to transport. One of my friends told me that he almost gave up on surf fishing because of the challenge of getting 12-foot rods to the beach. The Okuma Longitude fishing rod easily breaks down into two small, easily transported pieces. This rod is affordable and easy to transport. I would recommend this rod for the angler on the go. SCII graphite fiber makes it durable and lightweight. Comes with sloped frames for easy casting. Does not have a casting trigger. This fishing rod is designed with comfort in mind. Like other Okuma fishing rods, this rod is strong and lightweight thanks to its SCII graphite makeup. This surf fishing rod is both efficient and super comfortable. 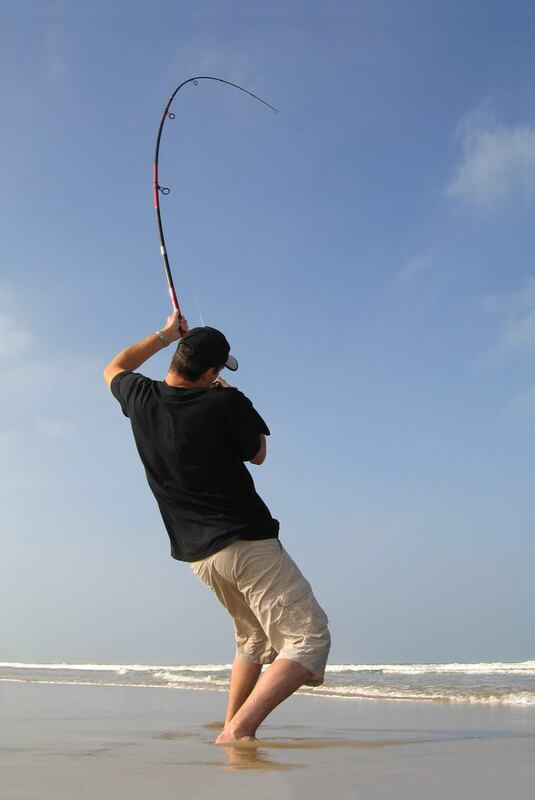 Although it is a two-piece rod, it provides a one-piece feel when surf fishing. It is quite comfortable and offers anglers more control over the rod. In addition, the rod comes with sloped guides designed for preventing braided lines from tangling. Graphite blank construction makes it strong and durable. Aluminum oxide guides help to prevent line tangles. Not suitable for beginner anglers. This rod is for people who consider themselves experienced anglers. This Japanese brand provides great value for money. Top features of this rod are Fuji guides and graphite composite setup. In addition, the rod comes with stainless steel double-footed guides to further enhance durability. It is affordable and provides excellent performance across a wide range of fishing techniques. Many anglers like this rod because of its cork taped grips that provide a great grip even during wet weather. You have probably heard of the term IM-6 graphite but have no idea what it means. There are three categories of graphite: low modulus, intermediate modulus, and high modulus. Simply put, intermediate modulus refers to the amount and quality of graphite used. I prefer to use rods made of intermediate graphite. 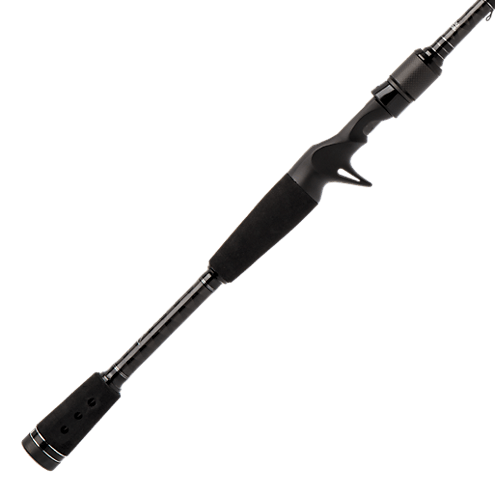 The IM-6 graphite composite of the Okuma’s Solaris surf fishing rod makes it durable, lightweight, and extremely sensitive, which is really what you need when surf fishing. Fiberglass composition makes it extremely lightweight. Has a ceramic guide to prevent line tangling. Two-piece construction makes it easy to carry around. May not be suitable for freshwater fishing. This is the ideal surf rod for anglers on a budget but still, demands quality. Tica UEHA surf rod is suitable for the novice and intermediate level angler. The rod comes with a fiberglass model and an array of excellent features. Its regular action offers great versatility and is recommended for the novice angler. This fishing rod is available in four surf lengths and two casting models. Ceramic guide to prevent line tangles. Inconvenient reel placement affects balance. The Penn rod is the one that really stands out here. This rod features excellent construction and although it is one of the most expensive brands here, it is well worth the money. For those on a budget, the Okuma surf fishing rods are quite respectable. Despite the fact that the Tica UEHA is heavier than the other rods in this review, it is the best option for beginners because it is easier to use and quite affordable. Of all the rods reviewed, I would put my money on the Penn Prevail surf fishing rod. I hope I have helped you find rods that will get you started surf fishing. Help fellow anglers; share this guide with your friends and followers on social media.